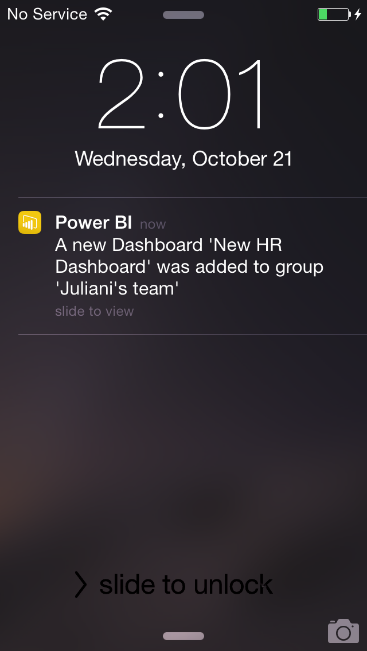 Keep updated with your teams’ newest dashboards on your iOS apps! Each time a dashboard is added to one of your groups you will receive a notification! Also, we made some major performance improvements to allow you a much faster experience when loading your groups on Power BI mobile apps and ordered all the groups alphabetically for an easy browsing. Acting on your tiles was never faster! Do you use favorites, share snapshot and annotate on your Android mobile app? Now you can do all of that directly from your dashboard. 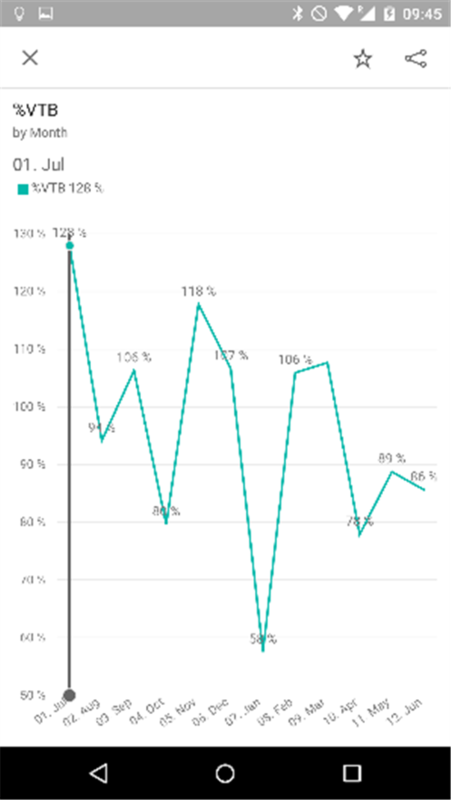 Percentage based line charts Power BI line charts with % based Y-Axis now calculates the visual range according to your actual data. 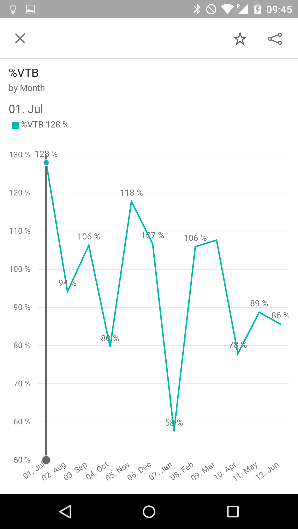 The graph will now start from the lowest data point you have instead of a default value to maximize the mobile real estate. Chart Data labels Reveal the numbers! Data labels support was added for line, column and bar charts. Enhanced sign-in process for Office 365 users who are new to Power BI.Are you an Office 365 user? If this is your first enrollment to Power BI you will be able to activate your Power BI user in no time directly from your mobile device! 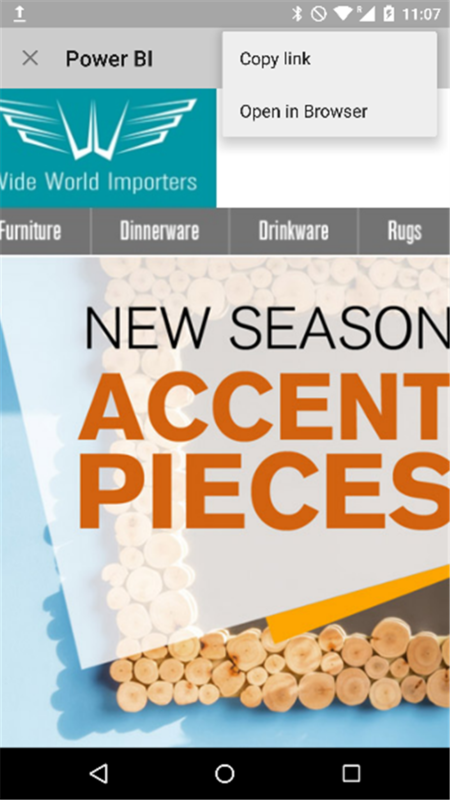 But wait – there is more! You can also open the directed URL in your preferred mobile browser and copy it to the clipboard for your own convenience and collaboration. iOS Devices supportability announcement As Power BI Mobile apps grows in functionality and features and to accommodate the best possible experience of Power BI in mobile, we are now supporting only iPhone 5 and above devices. 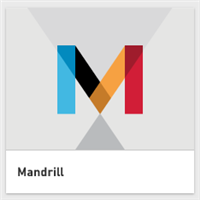 Mandrill Service dashboards Mandrill is an email service which allows you to organize and send mass email campaigns and newsletters through an API. Power BI leverages Mandrill by allowing you to instantly analyze trends and important information about your campaigns. With just a few clicks, you can import your data and transform it into a dashboard and a set of curated reports. 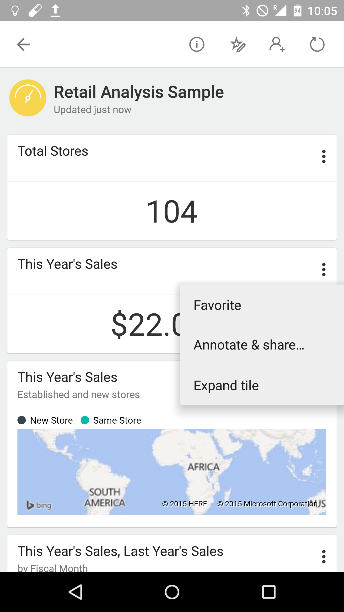 Explore your Mandrill dashboards on the go using your Power BI Mobile apps.